This fun, food-filled event showcases the ever-popular taste of Garlic. Attendees come to sample a variety of garlic creations from out-of-the-ordinary garlic ice cream, candy, cupcakes and cocktails, to the more usual pastas, sauces, breads, and butters. Held during the Evening Gourmet Market, the fest features a Taste of Garlic Competition for the Savory and Sweet categories, as well as the very popular Garlic Royalty and Princess Competitions. Along with the traditional People’s Choice competition in the categories of Sweet & Savory, there will be a Judge’s Choice competition. Guest judges will sample the selection of garlic creations and choose a winner from the Sweet & Savory categories. Hope there are plenty of breath mints available! Make sure to come on out and cast your vote for the People’s Choice winners. 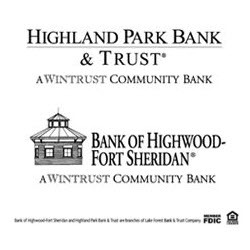 Ballots available at all participating vendor booths and the ballot boxes will be located at the Celebrate Highwood tent. The winners in the People’s Choice and Judge’s Choice competitions will be announced immediately after the Garlic Royalty Contest at the Gazebo starting at 8pm. Savory: Slyce Coal Fired Pizza Co. for crostini with black garlic aioli, goat cheese, heirloom tomato, arugula and garlic infused extra virgin olive oil! Sweet: The Toadstool Pub for candied garlic bacon! Savory: 210 Live for garlic studded brisket sliders! Sweet: Swirl Cafe for cherry balsamic brownie with black garlic! Hear Ye Hear Ye! Celebrate Highwood is calling all wannabe Kings, Queens, Prince and Princesses to be crowned the next Royal Garlic Representative. Interested Garlic Princes or Princesses (aged 6 to 17 years), Garlic Kings and Queens (over 18 years) can sign up now at the links below. 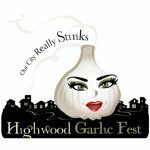 Contestants will have up to 1-3 minutes on stage during Garlic Fest to explain why they should be Highwood's next Royal Garlic Representative. Winners will be determined by judges for speech, appearance and audience applause. The winner will receive a royal crown and be responsible for making a number of appearances at all major Highwood events and potential media appearances.